The 108th Nobel Prize in physiology or medicine celebrates the study of the tiny biological clocks in every living thing from humans, plants and animals. This has been a very interesting topic in the lighting industry and amongst lighting critics for some time. However, one cannot deny the scientific evidence supporting circadian biology. This area of study is developing into a vast and highly dynamic research field, with implications for our health and wellbeing. There's even more emerging work suggesting our circadian rhythm can even influence how we metabolise medicines. The time one takes a drug during the day may controls its effectiveness. So we can thank the scientists Hall, Rosbash, and Young for helping us understand circadian biology even more. If you or your company would like to know more about circadian lighting and wellbeing please get in contact for a lunch and learn. 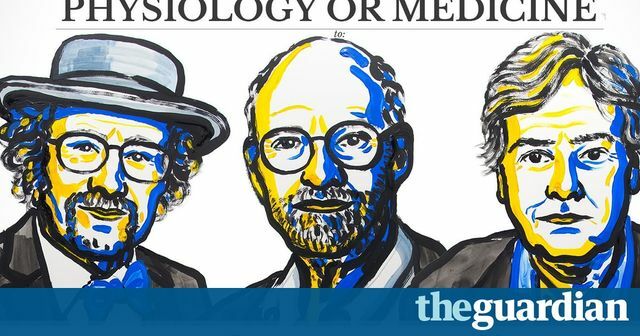 The 108th Nobel prize in physiology or medicine has been awarded to scientists for their discoveries has been awarded to a trio of American scientists for their discoveries on the molecular mechanisms controlling circadian rhythms – in other words, the 24-hour body clock. According to the Nobel committee’s citation, Jeffrey C Hall, Michael Rosbash and Michael W Young were recognised for their discoveries explaining “how plants, animals and humans adapt their biological rhythm so that it is synchronised with the Earth’s revolutions.” The team identified a gene within fruit flies that controls the creatures’ daily rhythm, known as the “period” gene. This gene encodes a protein within the cell during the night which then degrades during the day.